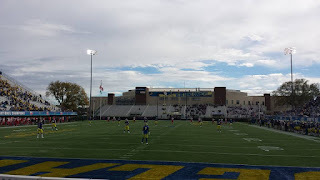 The Matt Ward History Experience traveled to Delaware Stadium in Newark, Delaware for the fourth stop on the 2016 College Football History Tour. 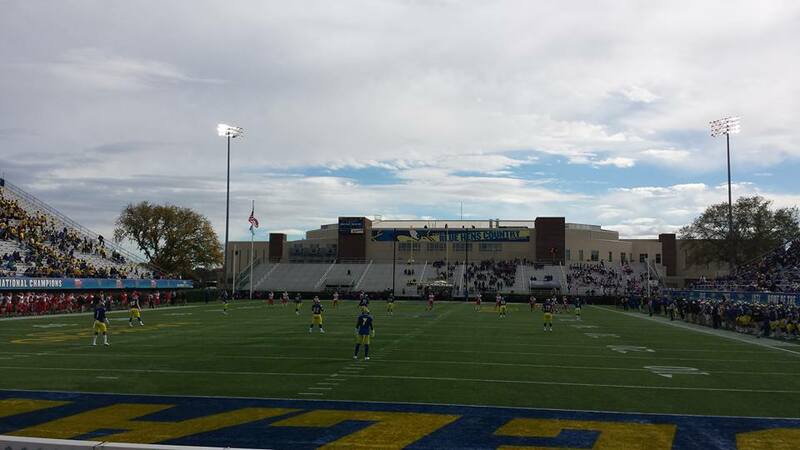 The University of Delaware Fightin' Blue Hens hosted the Stony Brook University Seawolves (Stony Brook, New York) on October 22nd. The University of Delaware was founded in 1743 by Presbyterian minister Francis Alison who founded the university as a "Free School" in his New London, Pennsylvania home. The school and name changed many times before becoming the Academy of Newark in 1769. The institute was recognized as a college in 1834. 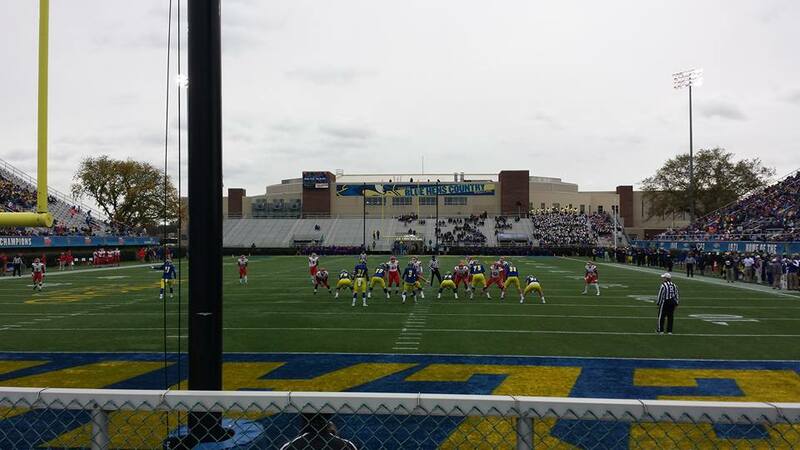 Delaware football played their first season in 1889. From 1889 to 1945 the team was not affiliated with a college football conference. 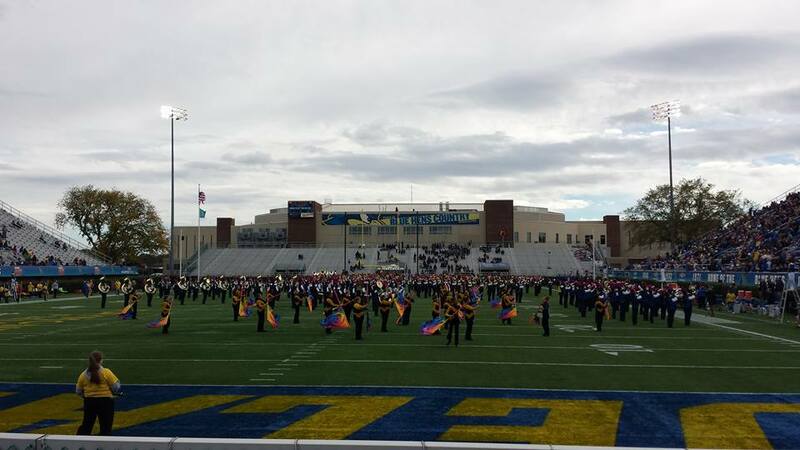 The Delaware mascot has been the Blue Hen Chicken since 1911. The mascot was adopted because of the popularity of the bird among Delaware troops during the American Revolution. Delaware troops would carry these birds with them in order to hold cockfights for entertainment in their spare time. 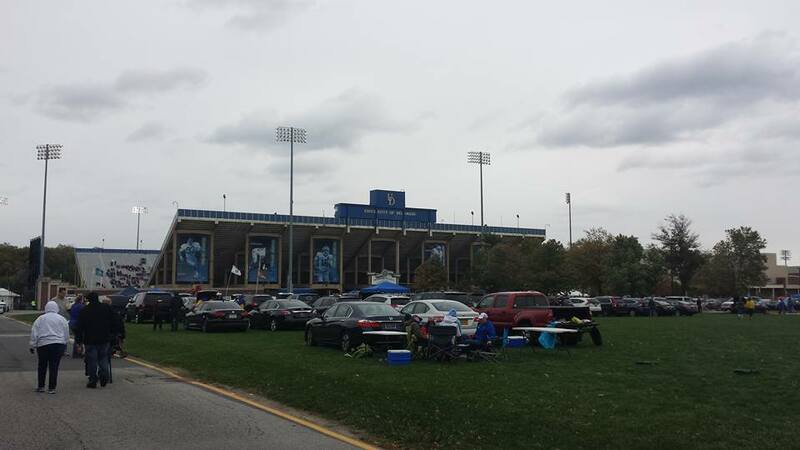 The arrival of head coach William "Bill" Murray in 1940 began Delaware's proud football tradition. 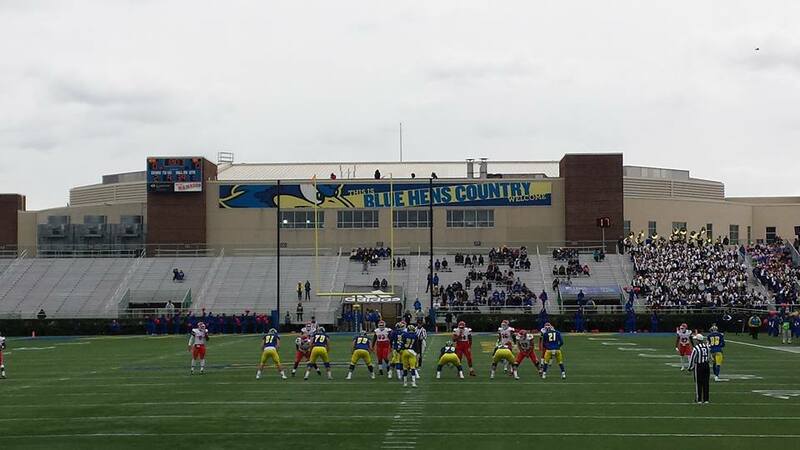 During Murray's 11 seasons as head coach, he and the Fightin' Blue Hens compiled a 49-16-2 record. In 1946, Delaware became affiliated with the NCAA Division II Mason-Dixon Conference. 1946 was also the year that Delaware captured its first National Championship with a victory over Rollins College in the Cigar Bowl in Tampa, Florida. From 1947-1957, Delaware competed as an Independent. David Nelson took over the head coaching duties for Delaware in 1951. 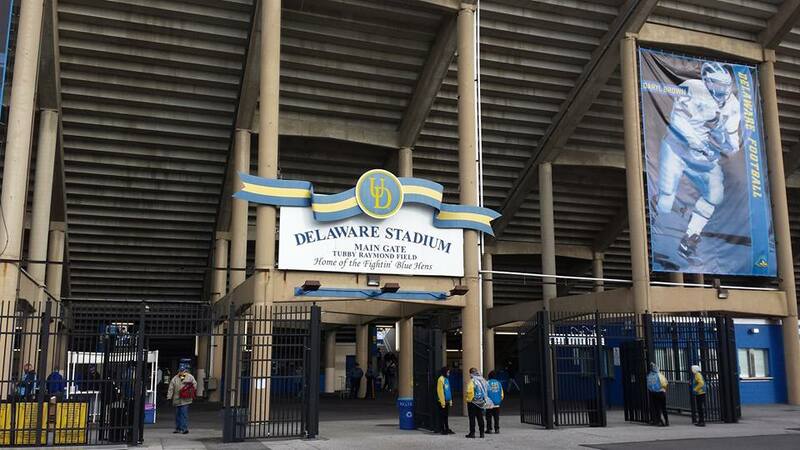 During his tenure, Delaware defeated Kent State in the 1954 Refrigerator Bowl, and won a National Championship in 1963. 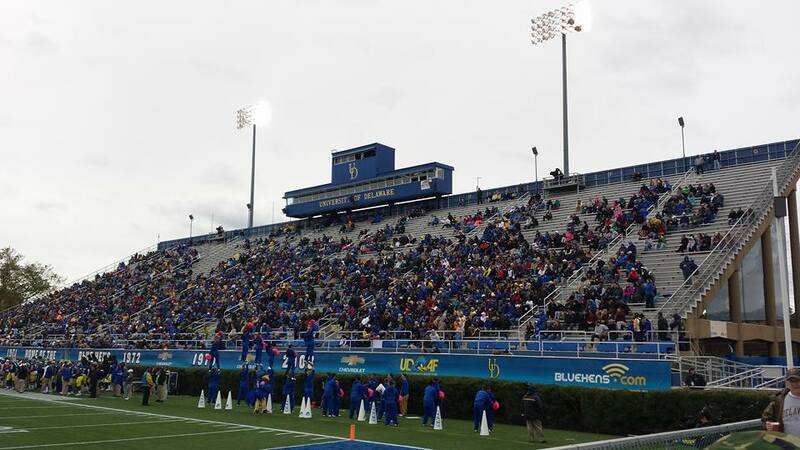 It was also during Nelson's tenure that Delaware joined the Middle Atlantic Conference (MAC) in 1958. Nelson also brought the "Michigan" style helmet to Delaware that is still used today. Harold "Tubby" Raymond served as head coach from 1966-2001. Despite having a tough start to his tenure as head coach, Raymond went on to compile a record of 300 wins, 119 losses, and 3 draws. Raymond also led the team to twenty postseason appearances in bowl and playoff games. In 1970, Delaware started to compete again as an Independent. 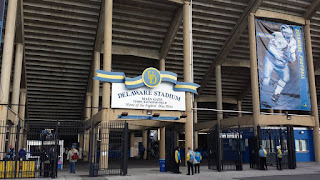 Delaware won back-to-back National Championships in 1971 and 1972. 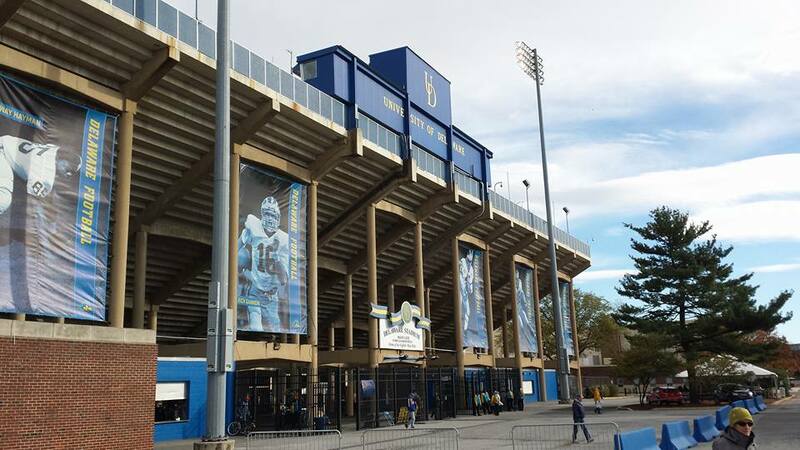 Delaware captured another National Championship in 1979 with a victory over Youngstown State. 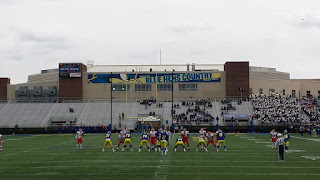 Delaware did not join another conference until 1983 when it began to compete in the Yankee Conference. From 1997 to 2006, Delaware competed in the Atlantic 10 Conference (A-10). The 2002 season was head coach K.C. 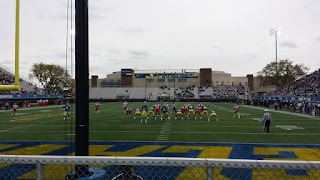 Keeler's inaugural season with Delaware. Keeler served as head coach until the 2012 season. Keeler led the Fightin' Blue Hens to four postseason appearances, and captured an NCAA Division I-AA Championship in 2003 with a win over Colgate University. Delaware joined its current conference, the Colonial Athletic Association (CAA), in 2007. 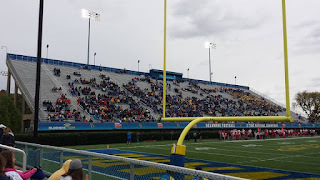 Delaware has a reputation of being a power house in Football Championship Subdivision (FCS) football. 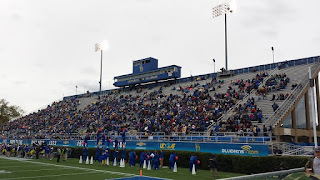 Between 1999 to 2010, the team averaged more than 20,000 fans per game. Dave Brock served as head coach of Delaware from 2013 to 2016. During his tenure, Delaware did not reach the postseason. Brock was relieved of duties on October 16, 2016 following a disappointing start to the season. Brock was replaced by Dennis Dottin-Carter who is currently serving as interim head coach for the remainder of the season.